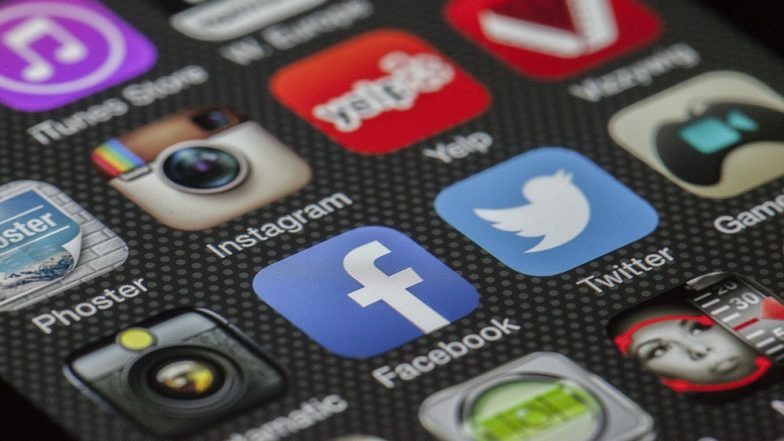 London, April 7: Social media firms, including Facebook, Instagram and Twitter, face hefty fines or ban in Britain if they fail to remove harmful content quickly under new laws, set to be unveiled on Monday, the media reported. The new duty of care laws could even hold social media executives personally liable for terrorist and child abuse content on their platforms. UK Home Secretary Sajid Javid is considering measures that would block errant firms' access to UK users, The Telegraph reported on Sunday. Facebook Does Physical Verification of an Indian User for a Post. The social media firms that fail to sanitise their platform could be removed from search engines like Google. Citing a leaked government document, The Guardian reported on Thursday under the new plans, an independent regulator will have the power to impose substantial fines on companies that breached their duty of care. The move comes after the livestreaming of the New Zealand terror attack, in which 50 people were killed, sparked global outrage. The video was viewed over 4,000 times before it was removed. The video was later shared in millions on other social media platforms, including Twitter and YouTube. Facebook Reportedly Paid Teenagers $20 Each Month For Selling Their Privacy on Android & iPhones By Installing Data Harvesting VPN App. "Vital discussions at G7 around online terror content -- especially after horrors of Christchurch. I made clear our upcoming Online Harms White Paper will ensure social media firms take more responsibility. Much more global action needed in this area," the UK Home Secretary said in a tweet on Thursday referring to the New Zealand terror attack in Christchurch.